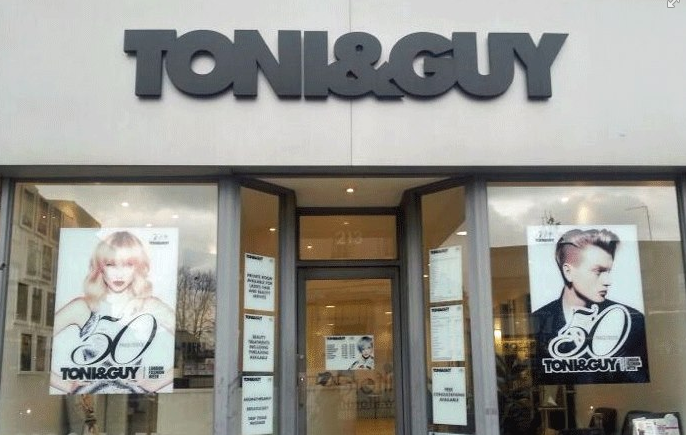 TONI&GUY Ilford is an award winning salon and team that has been established since 1999. We are a fun, energetic salon headed by a strong creative team full of ideas who always ensure you will leave looking and feeling great. We offer the semi-permanent blow dry designed to de-frizz hair whilst dramatically improving its health, condition and shine. Hair will be sleek, smooth and straighter. Our retail section includes label.m styling products, Kérastase, ghd styling irons, Tangle Teezers and Gift Cards. An incredible cut and colour from Toni! I would never go anywhere else! Rifa was very friendly, pleasant & helpful. She did exactly the style that I wanted & asked for. Natasha was really nice and gave good advice on colour and highlights-well executed too! Lovely young lady , made me feel at ease at having my hair coloured for the first time. Helped me understand and no pressure. Very good as always Rifa is a lovely girl as are all the other staff friendly and kind. The service started off with a consultation, who was a senior Art Stylist. She listened to me needs and offered tailored suggestions. I then had a relaxing hair wash and gentle head massage followed by a new-style cut and blow dry. I am very pleased with my new style, which was professionally done. The hair stylist was friendly and ensured that I was happy with my new style throughout the process. The end result was a perfect new-style. I am off in a trip soon so I wanted a look that would make a statement ..... Well ... Keera has given me the most badass look yet !!! Absolutely awesome as always - artistry in action. Great team and atmosphere as always. Love you guys. Thanks as always. Very good service - friendly but efficient. Natasha and the rest of the team were friendly. Thank you for the haircut Natasha! I was blown away! It really does suit! Thank you Pam for your generosity and kindness. Always a good experience and Toni ls friendly and very professional as always. Hair looks and feels great. Very happy ???? Hi Cathy, Lovely to see you this morning. We are pleased that we look after you to the way you expect. Amazing results. Beatiful colour! Made me feel totally comfortable. I am so happy! You did look amazing when you left the salon. We love knowing we pleased you! There was great service, extremely polite and friendly, the end result however was a long shot from what I had in mind, and I fully regret coming here. Following our phone conversation, we look forward to seeing you again soon!